I spend a lot of time helping people resolve credit issues and getting finances under control. Now it’s time to give guidance to those folks who are desperate to screw-up their credit. Who’d want to do that, you say? Plenty of folks are in an all-fired rush to make bad credit mistakes. Here’s how they developed the worst credit scores I’ve ever seen. If there was ever a guaranteed way to make your credit as bad as possible, not paying your bills has got to be at the top of the list. Not paying your bills screams of financial mismanagement and irresponsibility. Not paying your bills is your statement to the world that either you’ve got real money troubles or you just don’t care. Not paying your bills is like driving your new car into the side of the car dealership. It does a lot of damage and nobody can figure out why you did it. Some people foolishly think they need to wait and mail their payment on the very last day. They don’t want their creditors to get any of their money one second before the due date. These days that’s just stinkin’ thinkin’. Welcome to the age of the $50 late fee. Not only do your bills have a due date, they also have a due time. If you read the fine print carefully on your credit contracts (yes, that includes your credit cards), you’ll see a statement like “payment must be received by 10:00 a.m. on the due date.” In the good old days your creditors would cut you some slack. If your payment was due on Monday but didn’t float in with the mail until Thursday it wasn’t so critical. They’d even forgive you. Today, if your payment is due by 10:00 a.m. but doesn’t arrive until 10:01 a.m., you’ve got to pay the late fee. Some folks are just overachievers when it comes to messing up their credit. Not only do they pay their bills past the due date and time, they barely get them in within 30 days. That kind of late payment history is going to show up on your credit report ‚Äì and your creditors are monitoring your credit reports for just that kind of stuff. 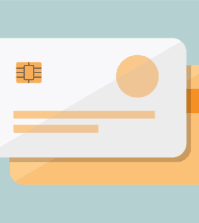 Creditors can raise the interest rates you pay on all of your credit cards if you are late on just one of them. You might not be paying attention to your bills but your creditors are. They are looking for every reason (excuse) to jack up your rates. They’ll tell you it’s because your payment history makes you a credit risk, and they are right, but rather than close you down, they’ll just raise your rates and let you hang yourself. If there were one message I wish I could implant into every adult’s brain it would be this one: Repeat after me, ‚ÄúJust because someone approves me for credit does not mean I can afford it.‚Äù Tons of people mess up their credit by going out and applying for credit everywhere until not even the high-risk lenders will give them a fix. Hard credit truth: You have to be responsible for your own credit. You’ve got to know when things are getting tight, when you can afford another monthly payment and for how much. Nobody watches out for you but you. Got it? You’ve got to stop blaming everyone else for your situation. Too many people are surprised when they get a low credit score because they’ve got a ton of extended credit. They’ve got cards at the butcher, baker and even the easy monthly payment card at the candlestick maker. You know the one, great candles, low terms and easy payments. Who can resist? So what can you do? Just say no, and don’t forget to have a nice day. 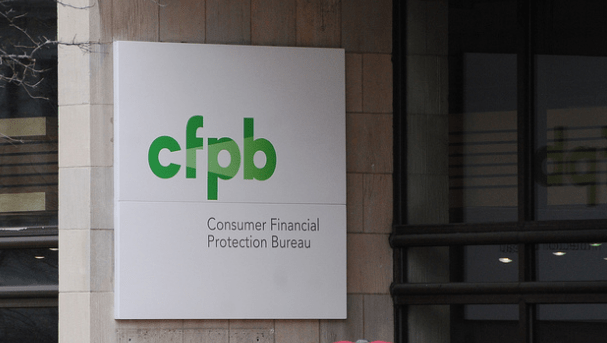 Seriously, if you find yourself limping from paycheck to paycheck, or you’ve got less than $1,000 you can lay your hands on within 12 hours without a visit to a loan shark or pawnshop, you’re cruising for a credit bruising. Don’t take on any more credit until you can easily make it month to month and you’ve built up your cash reserves. The quickest way to mess up your credit is to go on a spending binge and blow your bankroll ‚Äì maybe on a super fantastic vacation which is way out of your league or on that cool new car that just came out. Trust me, four days on Bora Bora is great but not worth falling behind on your mortgage. I’ve seen people work their whole adult lives just to blow all their money and max out their credit within 15 days. Sometimes it’s due to a chemical imbalance in the brain, but most of the time its because people feel they’ve worked hard and are entitled to the good life. I’ve got news for you. Those folks must have tripped over a PlayStation and hit their head on the wide screen TV. Once they wake up from their delusion, they have a ton of regret and a special parting gift ‚Äì bad credit. The only reason you are being asked to cosign on a credit application is because the person who is applying for credit has a lousy credit rating and the lender wants someone else to go after when the applicant doesn’t pay. When you cosign you get none of the benefits of the credit and all the pain. I’ve seen people cosign for cars for their children, friends, roommates or lovers only to see the applicant never make a single payment and skip out of town with the wheels. READ Selling or Buying Credit Repair Services? Read This Before You're Busted. My favorite cosigning story is the recurring one about the man and woman who go to the mall to buy an engagement ring. The guy wants to buy a huge rock but his credit stinks so he persuades the woman to cosign for him. He gets the ring, gives it to her and splits. Now she has to pay for the ring he gave her. When you cosign, the line of credit you are cosigning for will appear on your credit report, which will affect your credit score and your ability to get your own credit in the future. You are 100 percent on the hook for the payments if the other, uncreditworthy party (credit reject) forgets to pay. The only advantage to cosigning is for the lender. They know they’ve got a person with better credit (also known as a sucker) to go after when the credit reject skips. I haven’t seen a credit report in the past few years that does not contain errors. Those errors can cost you your good credit. In the old days of computer programming, people used to use the excuse “garbage in, garbage out” for programs that were improperly coded and did not work. The same statement is true of your credit report. Your report should be nothing more than truthful facts about your credit history. Unfortunately, it often turns out to be more gossip than fact. Stuff ends up on your credit report because one of your creditors told the credit bureaus about you. And while they may have taken great care to get the information correct, you might have a name or some other identifying information that is very similar to someone else. Sometimes the information innocently gets mixed up on your credit report. Other times, perhaps, aliens put it there. 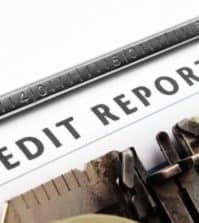 The only way you are going to know if your credit is trashed is to get a copy of your report and take a look. There are three main credit bureaus and they all have different information about you. If you want to get the whole truth about your credit score you’ve got to get a consolidated copy of all three credit reports. No credit is just as bad as bad credit. Some people think if they invent a new credit file they will be able to hide their poor credit history. The problem is that no creditor with a pulse is going to believe that a 46-year-old man suddenly decided to apply for credit for the first time yesterday. 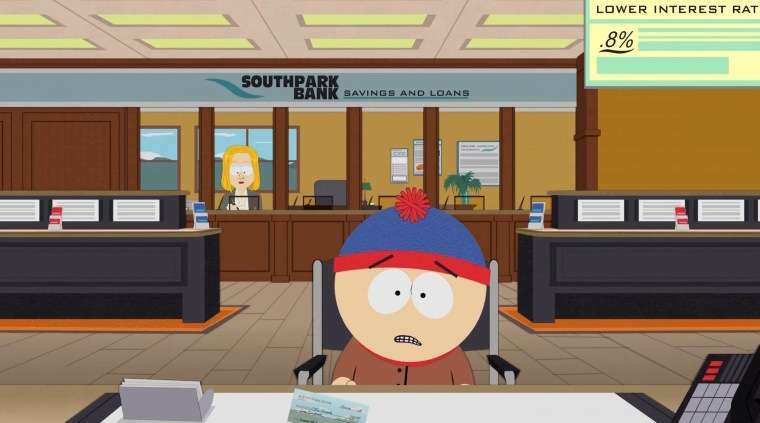 Credit repair is stupid. In order to fix your credit report, pay your bills on time, don’t get overextended, don’t cosign and clean up the incorrect information on your credit report. Or, just put three chicken wings in a bag and wave it over your head and hope for the best.